DC Nannies represented by ABC Nanny Source have verified credentials and a sincere love for children! DC Nannies like Erin work well in any childcare environment, and make children feel comfortable when parents leave them in her care. "I am a very positive and energetic person. I have overcome many obstacles in life and believe my positive attitude has led me to where I am today. The reason I have chosen the nanny profession is because I feel that a child’s early years are the most critical and children need a loving environment to grow. It has always been a passion of mine to work with children. As a Nanny I will be able to not only watch the children grow emotionally, but also academically. I have been serving in the childcare industry for over 7 years and can honestly say I have a passion for what I do! I feel the children are the future our country and need a loving environment to foster their needs. 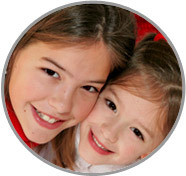 My goal as one of the DC Nannies is to provide a loving and safe environment for the children. I am willing to do housekeeping at request that includes cleaning, laundry, cooking, and shopping. If I had to describe myself in five adjectives I would say that I am bright, energetic, confident, professional, and trustworthy. Activities that I would like to incorporate in the daily plan for the family I care for would include academics, arts and crafts, sports, trips to the park, children’s cooking activities, singing(children’s songs,) and dancing. If asked to describe the perfect family seeking a Nanny like me I would hope they would be welcoming and loving." "Erin was great! She played with my children, took them to the park, and stuck to my rules and schedule. Erin is great with children; she has a natural love and talent with them. She expresses love for my boys and that can be seen when she is with them. She would do a little extra around the house even when not asked. Erin is very entertaining for the children. I believe that Erin is highly qualified among the DC Nannies because she is very dedicated and interactive." "Erin was an amazing teacher and caregiver. My daughter has learned so much from her! She is very patient and attentive to all of the children, and it shows. Erin would even take the time out to interact with my younger child during drop off and pick up times. She truly was invested in both of our children. She is very professional. She truly cares about the children and is very patient with them. Erin was an outstanding teacher; she made school fun! I was worried about my daughter adapting to school, since I am a stay at home mother and my daughter is very attached to me. Erin has a natural gift with children, and from the very first day, my daughter loved school. It’s because of Erin that my daughter’s transition wasn’t really a change at all. Anyone that hires Erin as one of the DC Nannies will be very lucky to have her!" "My boys loved Erin. She took very good care of them and is still our go-to childcare provider. Erin is a really great girl. She is funny, smart and children love her. She was always on time and very flexible with our schedule. Unlike a lot of other DC Nannies we interviewed, she was highly educated and I would recommend her for any nanny position." "Erin fulfilled all of her job requirements. She made my son feel very comfortable and he adjusted very well to being away from me. He has a hard time adjusting to other people, however, Erin made him feel very comfortable. We noticed quickly how fast he developed socially and academically. We believe only a nurturing, patient educator like Erin could have accomplished such a task. She really has the children’s best interest at heart and you can tell she enjoys teaching children while us parents are not with them. Anyone would be lucky to have her support with their family as she is one of the best DC Nannies." "Erin was always very organized and on task. She worked very hard to make sure that her students were accommodated, safe and happy. She had exceptional communication skills with students and their parents. She was very professional and creative as well and she incorporated that into her teaching. She kept the children interested and made learning a fun experience for everyone. From my experience, Erin was always kind and caring for others. She constantly went out of her way to help her fellow staff members, students and especially their parents. Erin was a very positive person to be around and that was reflected in the atmosphere of her classroom. She proved to be very responsible and reliable at all times. She was nurturing with the children and also proved to be able to handle even the most stressful situations with great ease and professionalism. I highly recommend her as one of the greatest DC Nannies!"